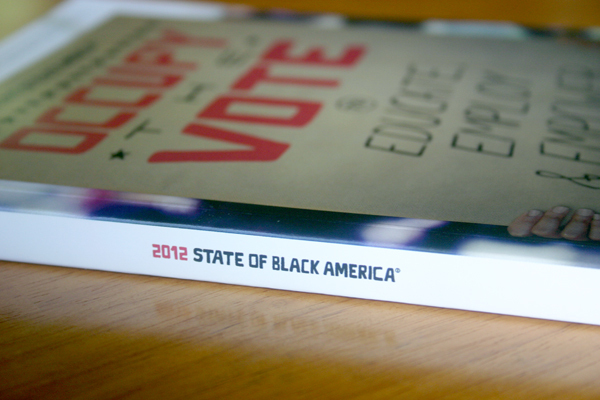 Untuck got the opportunity to design the National Urban League’s 2012 State of Black America: Occupy the Vote to Educate, Employ & Empower. 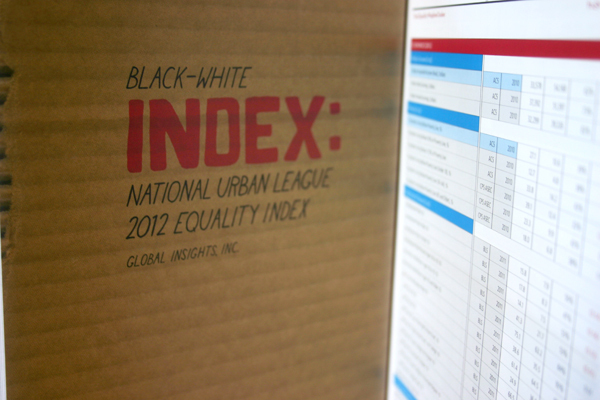 The report includes essays from various advocates and leaders. 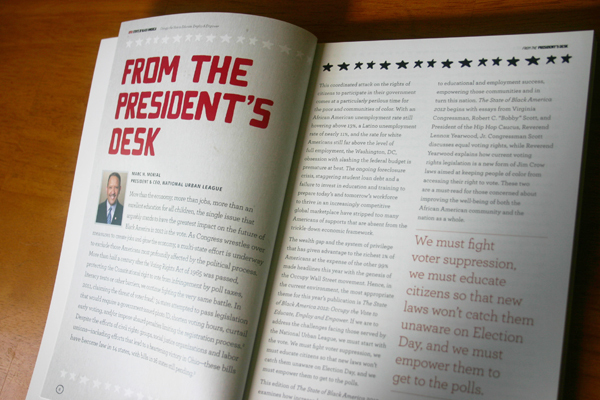 The concept of the report was inspired by the Occupy movement, and I created two different hand-drawn typefaces that each essay title was set in. You can read more about the process behind this project on the Untuck blog. 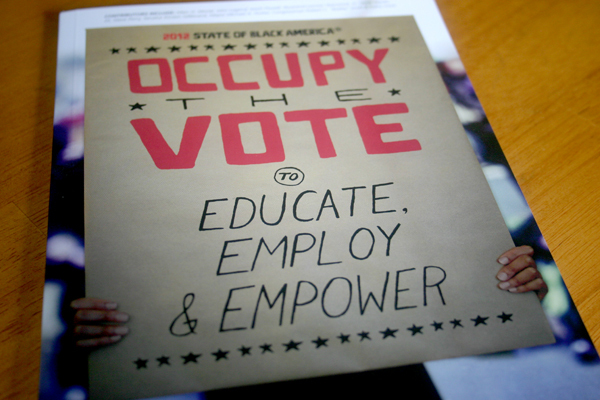 The Occupy the Vote video was created by the National Urban League interns, who were inspired by the concept for SOBA.